Female genital mutilation is an abhorrent human rights violation affecting women and girls around the world. It denies them their dignity, endangers their health and causes needless pain and suffering, even death. Female genital mutilation is rooted in gender inequalities and power imbalances– and it sustains them by limiting opportunities for girls and women to realize their rights and full potential. An estimated 200 million women and girls alive today have been subject to this harmful practice. And every year, almost 4 million girls are at risk. The Sustainable Development Goals call for the elimination of female genital mutilation by 2030. The United Nations joins hands with global, regional and national actors in supporting holistic and integrated initiatives to achieve this objective. 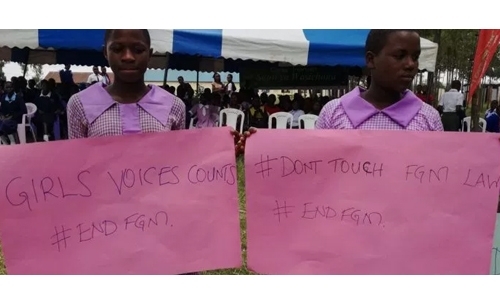 Tackling FGM is also a central part of our efforts in the Spotlight Initiative, launched in partnership with the European Union to end all forms of violence against women and girls. With strong political commitment, we are seeing positive change in several countries. However, if current trends persist, these advances will continue to be outpaced by rapid population growth where the practice is concentrated. On this Day of Zero Tolerance, I call for increased, concerted and global action to end female genital mutilation and fully uphold the human rights of all women and girls.